“When we decided to build our dream home, we interviewed four different building companies. Groove Properties and Nick Madden won us over with his honest approach and quality of work he was able to physically show us. Our three storey home was completed on time, on budget and on par with the standard we had hoped for. Every family deserves a home, but not everyone in the world is fortunate enough to have one. 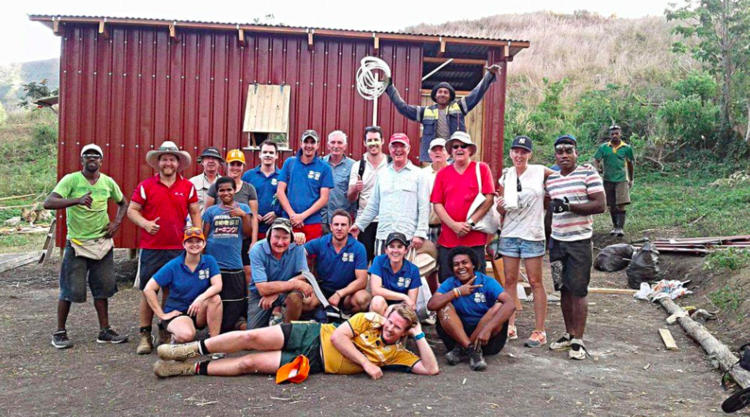 In October 2016, Nick and John travelled to Fiji in support of not-for-profit organisation, Habitat for Humanity, to help build a home for a Fijian family displaced after Cyclone Winston. The week-long build, led by Walshs Accounting, was a rich and rewarding experience for both of them. Not only did it help a family in need, it also allowed new building skills and techniques to be taught to the local trademan. It was a wonderful experience that they now plan to do on a more regular basis to give back to communities in need. Here are Nick, John with the Walshs team outside the completed home on the final day. It may look modest but it gave a young local family a better start in life.